North Korea has featured heavily in the news over the past 12 months, certainly more than usual. From the fanfare that surrounded the Singapore meeting to the country's participation in this year's Winter Olympics in South Korea, the famously introspective country has enjoyed an almost permanently high profile within the global news cycle. The country's beer scene even warranted a mention in one of our weekly newsletters when its international beer festival was cancelled in the middle of last year. Now, "North Korea" and "beer scene" might not be two terms you'd readily put together, but it turns out there's a significant enough local industry to warrant a brewery tour as we discovered when contacted by Koryo, a tour operator that's been taking visitors to the country for a quarter of a century. Intrigued, we got in touch with Marcus McFarland from Koryo to find out more about the North Korean beer scene. 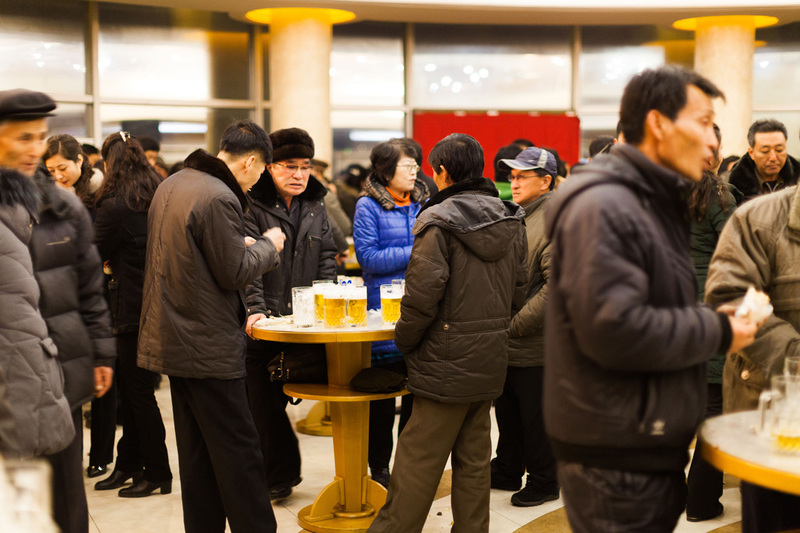 What prompted Koryo to start a brewery tour of North Korea? We’ve been taking tourists to North Korea now for 25 years, and we’ve seen during that time beer brands and types slowly proliferate in the country. It’s always been available during this time, but we’ve found the number of brands and types have increased and breweries pop up in locations you don’t usually see them. People are always pleasantly surprised by the beer the country produces on tours, so we thought we’d make a tour to look at the brewery industry closer so that people can have the unique opportunity to learn more about North Korea’s beers, brewing industry and even some of the traditional Korean drinks, as they’ve been brewing them for a long time. How popular is beer as a drink? It is very popular with most men and even a lot of women in urban areas regularly drink beer, at least once a week and usually in a social setting, much like what you find in any other country – such as end of the week after work, barbecues, catching up with friends, celebrations and so forth. Beyond just being a drink to relax with, beer is promoted as healthy drink with "abundant vitamins and minerals, low sugar content, efficacious for the treatment of diabetes and obesity, and a bitter material peculiar to hops which promotes urination" – their words, not ours. When was beer first introduced to the country? It was first introduced on a commercial scale by the Japanese during the colonisation in the 1930s. The earliest records of a brewery in the country are from this time. The first brewery in the north half of Korea was located on the banks of the Taedong River opposite Yanggak Island, near what is today the Kim Chaek University of Technology. Unfortunately, the brewery did not survive the Korean War as only two buildings in Pyongyang survived the war and the brewery was not one of them. Beer was reportedly available before this time though, but only as an imported product. What kind of beers are being brewed? 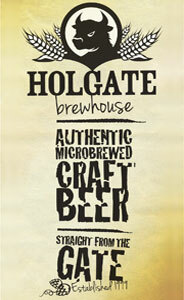 Lager styles are the most common, but they’re also making various ales and darker beers such as porter and stout. They don’t label them as such, though, preferring to use simpler names such as yellow beer, dark beer, coffee beer, chocolate beer, or even simply naming them using numbers such as Beer #1, Beer #2, etc. What size are the breweries? The exact sizes of all breweries are not known as it is rare to get access to them. Taedonggang, who are the biggest, have stated they produce 200 kilo-litres per day (200,000 litres), but information for smaller breweries is not available easily. We should know a bit more after this tour as we’ll be visiting some of these breweries for the first time ever. Where are the beers served? They're served in bars, hotels, restaurants, supermarkets, convenience stores, rest houses, bowling alleys – places you would usually expect to find beer served and then some. There are apparently over 160 beer bars in Pyongyang. There are a few breweries where they have bars as well, but not many. Taedonggang Brewery has a small bar located next to their brewery and a brew bar in the city. Rakwon Brewery is located on the top floor of a department store and they have their bar and brewery located in the same room separated by glass. The Yanggakdo Hotel Brewery is located behind the tea house bar in the lobby of the hotel, and you can see into the brewery room through a window behind the bar. There is even a microbrewery located inside a train station, though this one is quite difficult to get to and no foreigners have been there for a very long time as far as we’re aware. 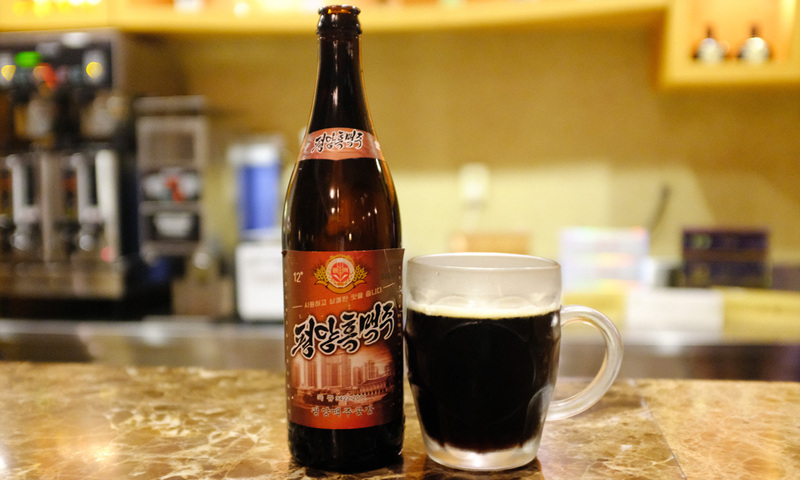 While pale lagers are most popular, North Korean breweries do produce a variety of beers, including porters and stouts. What about other alcoholic drinks: what else is widely consumed? Being Korea, the traditional Korean alcoholic drinks are also widely consumed. Like those in the southern half of Korea, Soju – a rice wine – is very widely consumed and is more widely drunk than beer. There is also Makkoli – a fermented rice drink – which is also popular. It looks like watery milk, but tastes like cider with the same alcoholic content, around 4 to 6 percent ABV. Both are uniquely Korean drinks that they have been brewing for hundreds of years. They also make their own spirits using ingredients from Korea, such as ginseng and pine mushrooms. Is there much imported beer, or other alcoholic drinks, available? There are imported beers and spirits available. You can get Bavaria, Heineken and Asahi relatively easily, plus sometimes you come across beers from Vietnam or Singapore around the place. The range of imported spirits is rather large with a lot of whisky and vodka making its way into the country. Companies. Of course, these companies are state-owned, but that is true of all companies in the DPRK. What defines them as companies is what defines all other companies in the world: being profit-motivated. So the people that operate these companies seek larger market share, bigger distribution of the product, margins in the supply chain, improvements to product, customer retention and expanded customer base, etc. They are less aggressive about these things than beer companies elsewhere as they, of course, have the safety net of being in a country that both doesn’t explicitly encourage this behaviour and also props them up to some degree when it doesn’t work out; plus, none of the managers are from a background of aggressive expansion, but the spirit of competition and doing better than a rival does exist. The beer festival is a good example of Taedonggang pushing for more sales, more awareness, etc. In brief, though, the government does not run the breweries as the very nature of government is that it administers the State, it doesn't brew beer. Is the number of breweries growing? The number of breweries has grown at a very slow pace. While the demand for beer is there, the country operates at a fairly slow pace generally, so setting up a new brewery, for instance, will take time as you will be doing so from scratch. The main reason for them to have so many breweries in the first place is out of circumstance rather than by choice. The roads in North Korea are bad, transport is expensive and, during the winter months, some places in the country become very difficult and dangerous to access. As a result, there are breweries set up around the country to help meet the demand. Electricity is also unreliable, so beer is produced without being pasteurised, which limits its shelf life and places it at greater risk of going bad if it gets left in a hot truck for too long. A pleasant outcome from this, though, is the various brands of beer available, and the breweries looking for that competitive edge do try to expand their product ranges so that they can appeal to a wider audience. What can you tell us about the beer festival scene? 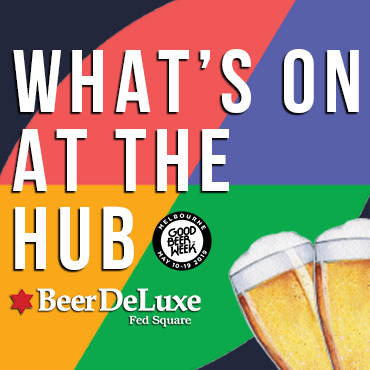 They’ve only ever held the one beer festival in 2016, which was run by the Taedonggang Brewery as a marketing exercise to promote their beers. By all accounts it was a big success, running for a whole month, with many locals and tourists attending. It was scheduled to happen again in 2017, but was unfortunately cancelled at the last minute with no reason provided and there has been no word on it returning. Is there much coverage of the beer industry scene in the media? There is some, generally only when something important or exciting happens, like the beer festival, a major achievement for the brewery or even a visit by one of the leaders. What are your favourite local beers? My favorite is Ponghak 12; it’s the one I always try to seek out when I’m in country. It’s produced in the city of Pyongsong, which is north of Pyongyang. To me it tastes like good golden ale, with a good balance of sweetness and bitterness, and a full bodied flavour. I haven’t tried them all yet, though, and regularly find new types that I’ve not seen before. They’re usually hidden up the back of the fridge behind bars that only the keenest of eyes will spot. My most recent find was Sosan Beer produced by the Myohyangsan Factory – a refreshing lager. There are also breweries that we know exist, but we’re yet to see their products – for example, there is one in Haeju that we’ve seen in the media, but we are yet to see its beers for sale. North Korea has previously detained westerners who have visited the country. Are there any particular safety concerns for those visiting the country? The laws of North Korea are not necessarily the same as the laws elsewhere and breaking the law is an unacceptable act when on the tour, whether you agree or disagree with that law. These laws are knowable and not secret, though. It takes effort to break the law and we strongly suggest that if someone thinks they cannot go there without breaking the law then they shouldn’t go. If they are going there with the intent to break the law then they definitely shouldn’t go. Punishment is disproportionate for the so-called crimes there and visitors are all aware of this. However, arbitrary detention or persecution of visitors is not a real thing and thus, if you are able to not break the law, which requires literally no action after all, then you will be perfectly safe while in the country. 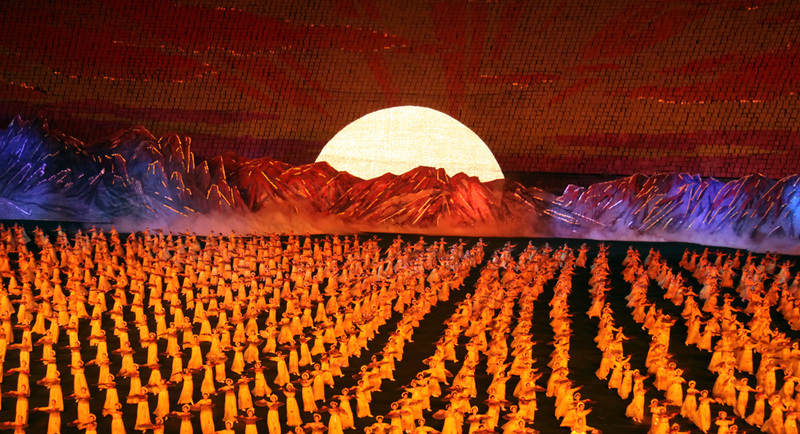 What other aspects of North Korean culture can people expect to see on your tour? The itinerary has been designed so people can come away from it with a good understanding of the country and have had a well rounded experience. We’ll be visiting various museums, place of historical significance, attractions and sights. We’ll have a comprehensive tour of Pyongyang, take a day trip down to Kaesong near the border of South Korea where we’ll visit the Demilitarised Zone (DMZ), and have an overnight visit to the city of Pyongsong. We will also have the opportunity to attend the Mass Games (pictured above) which are a mass artistic and gymnastic performance featuring over 100,000 performers. They have been brought back for September as part of the country’s 70th anniversary of National Day – the day the country was founded. They were last held five years ago, so it’s a unique opportunity to see this as well. For more on the forthcoming tour, which runs from September 22 to 27, head here. For other travel articles on the site, head here. Photo at top of article © ayeshasitara.